It is very simple. My staff can use it even though they don't know the ins and outs of amortization schedules and how to calculate them. The calculate feature is awesome! We use it all the time to calculate rates, especially when cashflow models are changed in the middle due to amendments or extensions to our agreements I love that it can easily take into consideration a loan or payment that is made mid-month or on a different date than the regular pay date. I have been having a hard time determining what issues I have with this software. The only thing I can think of is that it would be nice if it directly integrated with our new ERP system, NetSuite, though I have not verified this completely. However, it is easy enough to export to CSV and the upload into NetSuite, so I don't really see this as that big of an issue. If you want an easy way to calculate present values, rates, future values, etc. on loans or cashflow models, this is a great tool! I have never found anything to use that is this easy. We are constantly reviewing and calculating the internal rate of returns on various financial products, debt, etc. and this is a quick and easy way to calculate those IRRs, even for some of my staff who don't necessarily know the ins and outs of calculating them. I love this tool for calculating all of my amortization schedules. While I understand the amortization calculation it's always a pain to set it up. And you can't always use the same schedules based on different factors, so I like that you can use this program to input the factors you know and it will spit out the schedule you need. Makes the Close process smoother and brings peace to mind. I especially like that it exports into an Excel file as all my files are in Excel. So it's easy to run this schedule and then just copy it over into one of my workbooks. The program itself works great but the interface appears to be outdated. Also, it's a bit hard to learn by yourself unless there's a tutorial or somebody senior with experience is teaching you. Try researching some tutorials online first or work with a senior. This is a practical tool that perfectly addresses our need for amortization schedule creation. "Functional, But Clunky To Use"
The software (if you are well versed in how to navigate it) is accurate in its calculations. Auditors are accustomed to working with it so exchanging data is fairly easy. I find the software (cloud version) to be clunky in appearance and utility. For a software on the market for so many years, I would expect a cleaner user experience. Most disappointing to me is the output of reports to Excel. The Excel based reports are not readily formatted so the data can be used to do additional analysis. I do not use it for business problem solving, rather to compute and project interest expense tied to variable rate loans. TValue has made it easier to do this computation, which results in time saved, and absence of concerns over spreadsheet data integrity. "Awesome Time Value of Money Tool - Great for Loan Calculations"
The simplicity of this calculator is great and the presentation of the table is very straightforward. For, off year end businesses, you can adjust your 12 month summaries to fit you business year. Also, you can easily export you amortization table to PDF or Excel. There isnt much to not like about this product. Its completely met all my needs. Definitely use it if you want detailed loan information, want to play with prospective loan terms, or know interest vs principle breakouts. Loan calculations, both real and prospective. Its nice for buying cars, being able to bring in a table and saying this is what we need to make work in order to finance this car. "Perfectly Simple and Complex at the same time"
This program does simple amortization schedules and with a click of a button you can adjust for whatever event occurs. Timeless program that works perfect. There is some trial and error involved to get the exact scenario some times as the software is sneaky in terms of where adjustments are made and what each adjustment entails. This is a must have in any financial profession. Basically just simple amortization schedules. Some interest only schedules and seasonal notes with various payment arrangements. Normal loan amortization, irregular payments, return on investment, internal rate of return, lease vs buy analysis. Anything to do with the time value of money. "Excellent - It handles all financial amortization calculations"
It is simple to use. At the same time it allows you to do complex amortization/loan schedules. Nothing. The product has been able to be handle almost every situation I have needed. To my surprise it handled a unique IRS Tax code computation related to the sale of a minority interest of a client. Loan Amortization schedules. Sometimes business situations dictate that terms change mid stream and TValue handles changes easily. "A must have payment calculator for the equipment lease industry." Tvalue can be customized to suit your specific needs. Can't think of anything that I dislike about Tvalue. Calculating payments for leases including our income as a lease broker. 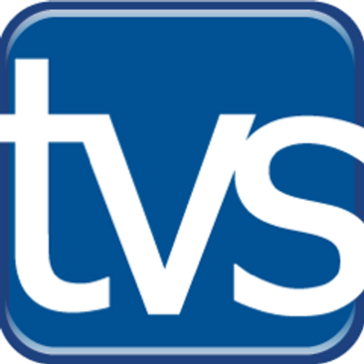 Tvalue can handle skip payments, variable payments, step payments and many other requirements. I use t value often when running amortization schedules for clients. It is. Rey straightforward and easy to use. I wish they would offer more options for calculations such as present value. Reliable tool for amortization schedules and related analysis. Simple to use once you learn the features. Many professionals with which I have collaborated have used this tool. Seems to have become the industry standard in our area. Some additional 'solve' tools and user interface enhancements would be helpful. The reports that are produced are simple and effective, but could be enhanced for better look and feel. Running calculations for payments, loan schedules, etc. In particular it produces clean and simple reports that can be used to provide to clients, substantiate work papers, etc. * We monitor all TValue reviews to prevent fraudulent reviews and keep review quality high. We do not post reviews by company employees or direct competitors. Validated reviews require the user to submit a screenshot of the product containing their user ID, in order to verify a user is an actual user of the product. Hi there! Are you looking to implement a solution like TValue?